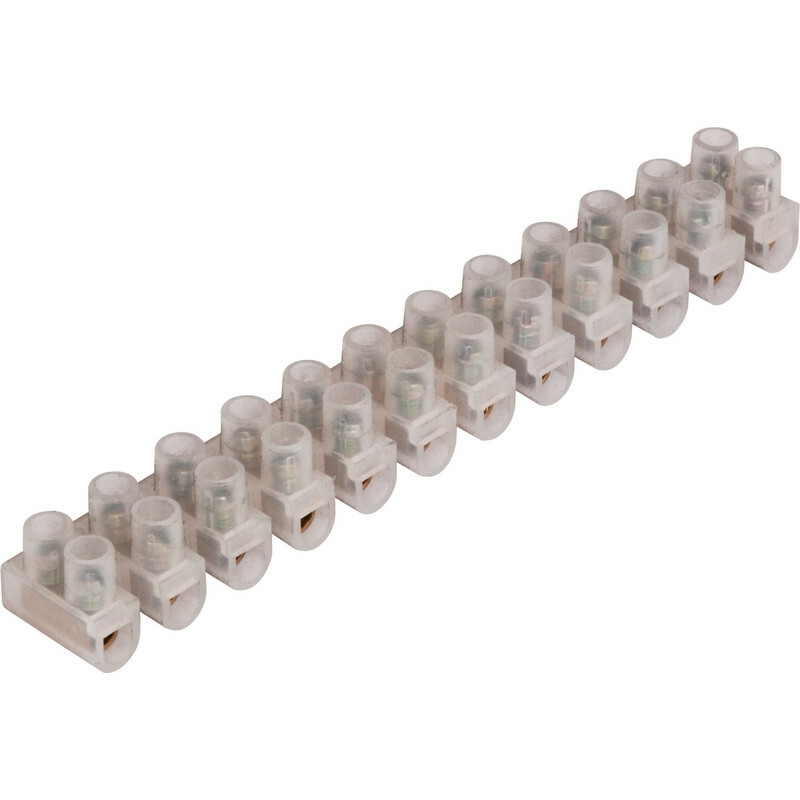 Connector Strip 5A Trade Pack (10 Pack) is rated 4.9 out of 5 by 28. Rated 5 out of 5 by nick55 from Great Item Very useful for connecting wires. Rated 5 out of 5 by JOHN12 from Connector steps No problems , did the job well. Rated 5 out of 5 by ferrism from Decent quality connector. I always like to have one of these around in my tool-kit. They're very useful for connecting cables and it's irritating having to go out and get one to complete a job. These are a good example. Nice and flexible. Excellent price.